Two piece desk set includes a writing desk and chair finished in white. 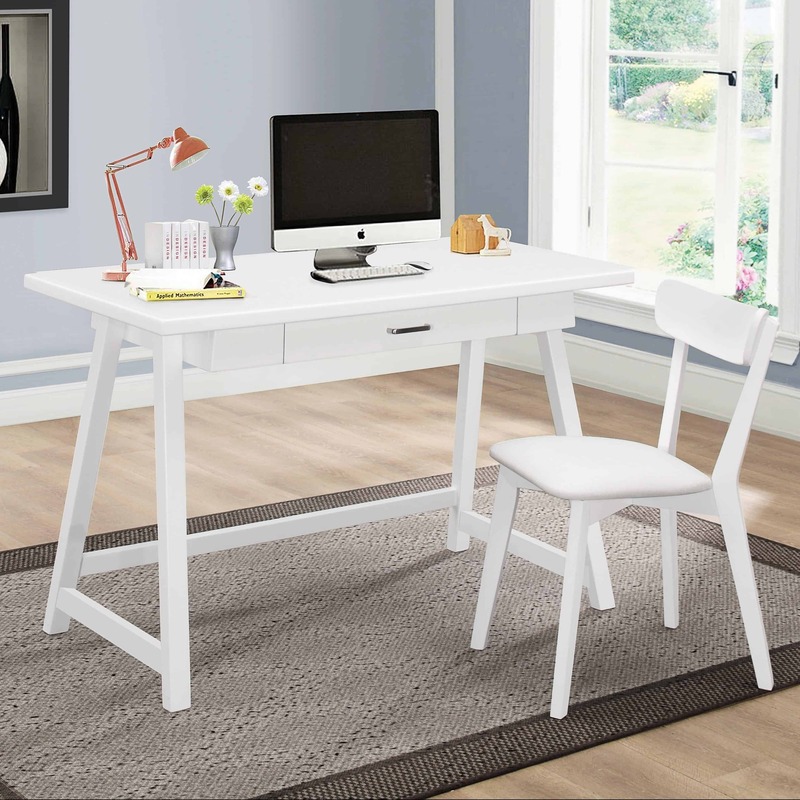 Constructed with rubberwood and MDF features one center drawer with full extension glides matching chair with fabric upholstered cushion. 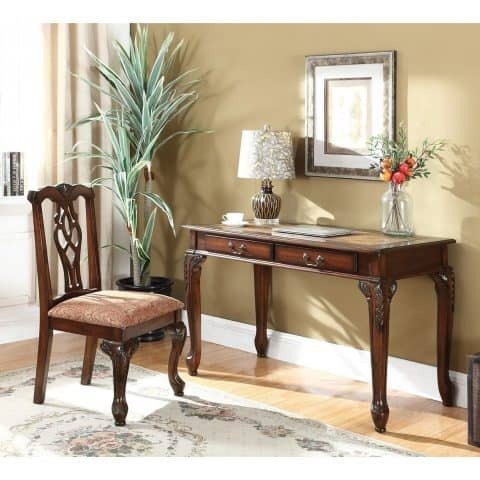 This writing desk comes in a smokey black finish constructed of poplar wood and birch wood for a reliable and long lifetime. 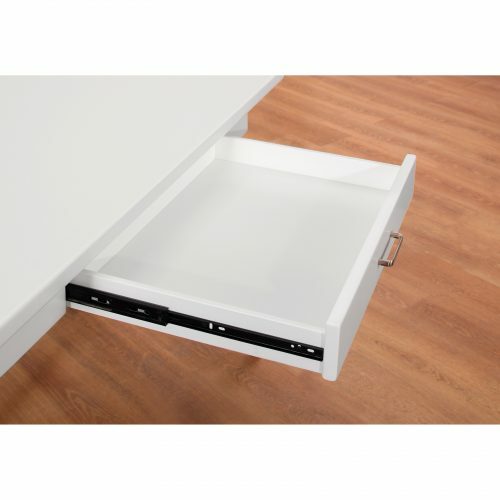 Perfect for any office or other room in your home. 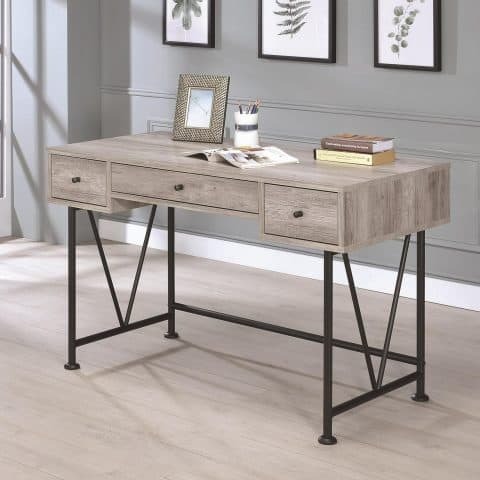 Industrial style collection incorporating wood finished in grey driftwood and metal finished in black, the desk comes with three drawers. 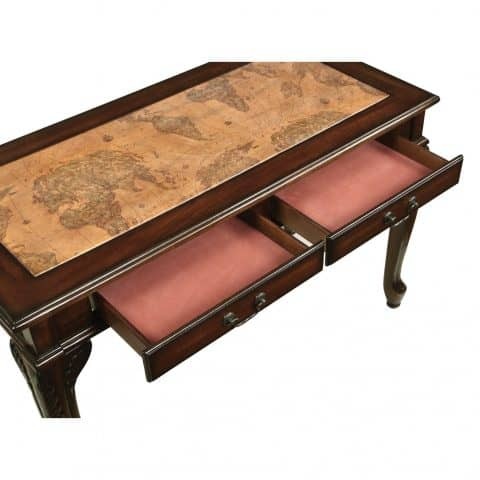 Two-piece set includes writing desk and chair finished in golden brown constructed with poplar, Asian hardwood, MDF, and birch veneer desk features old-world map leatherette upholstered top, ornate hand-carved cabriole legs, and felt lined drawers matching chair with traditional floral fabric upholstered the cushion.